In a tranquil setting between Mountains &amp; Sea, Lunja village was built in the complete harmony with nature. 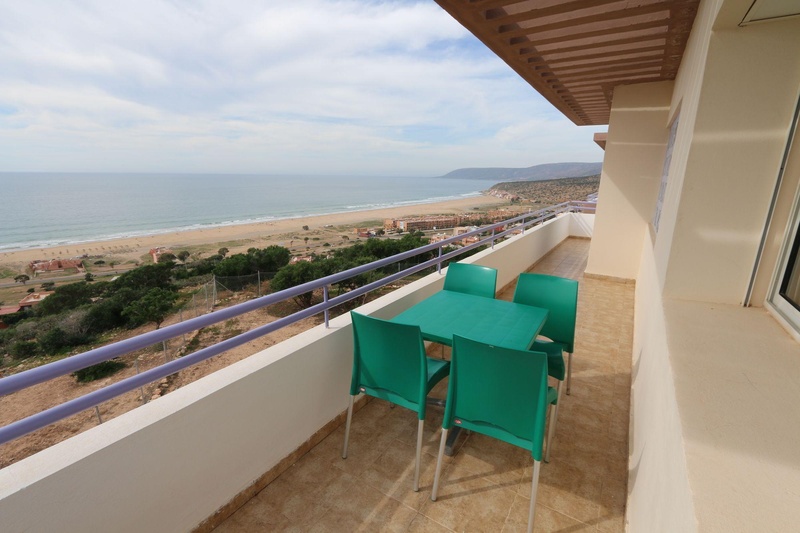 This modern holiday resort is Located within 30 min from Agadir, and close to Taghazout Beach, the Surfers Paradise. The resort overlooking the Ocean offers a Breathtaking views of the Sea. The Resort comprises of 104 chalets, 180 apart-hotel and 210 luxury Suite-Hotel All on 38, 5 hectares in total, . And projects a sense of freshness with its bright and modern design. It also offers an array of amenities and facilities including Outdoors Swimming pools, Restaurants, Bars, Snacks, Conference rooms, Water Park, Kids Club, Sports Activities, 24/24 Reception, Infirmary, Parking, mini market, Security. Lunja Village is an extraordinary escape from the ordinary and a great place for families and nature lovers, with a great value for money. Fantastic location. Parking spot next to. There are no shop. Fair family hotel. Close to the beach . Chalet calm. Spacious appartment. No toilet paper. DO NOT have air conditioning. Noisy bed. Hard beds. Not maintained. Closed game room. No cleaning. Safety non existent. Rude staff. No wi-fi in the room. Internet doesn't work. No Wifi access.